We also have the regular balance changes; toning down Galio a bit, giving Gnar some love, reining in a certain electric rat, and sharpening the edges on both Kindred and Rek’Sai. Closing it up, did you know we have new tips for the loading screen? We've also got a way to track your vision score during the game, and the SKT T1 skins are here! Honor has been given a complete overhaul. You’ll see a new voting screen, the addition of a persistent Honor level, and rewards for consistently honorable play. Honor will be activated at some point during the patch. Read the full primer here. newPOST-GAME CEREMONY If the majority of your team honors you, you get a shoutout for the whole lobby. newHONOR LEVELS Everyone starts at Honor level 2, and consistent honorable play unlocks an evolving Honor level, displayed on the profile page. You will move up even if you are not honored, providing you’re always playing to win. updatedFLAIR At Honor level 3 and above, receiving honor in the post-game screen unlocks a loading screen flair for your next game. Your loading screen flair design levels up as you do. updatedKEY FRAGMENTS Key fragments will drop exclusively through Honor. As long as you’re at least level 2 (the starting level) you’ll continue to receive the same amount as now. and these will drop outside of the post-game screen, or on login. newHONOR CAPSULES After level 3, you’ll receive Honor Capsules as well as key fragments. These don’t require a key to open, and contain at least two key fragments. Some also contain champ shards and exclusive rewards like Medieval Twitch and Grey Warwick skin permanents. W-empowered attack bonus is now base plus AP and bonus AD ratios. Hurricane no longer stacks W. E ratio increased. As a basic-attack-focused mage, Kennen has access to both physical- and magic-damage focused builds. Choosing between them affects the strengths Kennen brings to the table: the physical build gives him more consistent, unrelenting damage, while the magic build makes him a burstier threat to deal with. In theory. The balance between these builds is off-kilter: AD Kennen's sustained damage is actually pretty bursty, and AP Kennen isn't bursting hard enough. We're giving AP Kennen better scaling, but our work on AD Kennen's a bit more nuanced. Primarily, we're removing Electrical Surge as a repeatable damage spike in the physical build. Surge’s AD scaling is down, and in the (usual) case where Kennen picks up Runaan's Hurricane, it no longer triples Electrical Surge's stack rate. The nuance is in the ratio switch from total AD to bonus, a change meant to mitigate the impact to bot lane Kennen, who we’d like to keep viable as a niche strategic option. Switching to bonus AD removes the innate disadvantage bot lane Kennen faces with total AD scaling (bot laners are generally lower-level than solo laners, so their base AD hasn’t scaled as much) while letting us make a smaller ratio reduction than if we had stuck with total AD. Midseason left some tanks with less damage than they need to function. A little bump to Poppy’s bread and butter skill should go a long way toward bringing her back. newORTHODONTIC SURGERY The attack following Chomp now has more consistent timing and scales better with attack speed. BUGFIX Was already giving 25% increased lifesteal. We’re “fixing” the bug by bringing other sources of healing/regen up to the same level. Q attack lockout now scales down with attack speed. After last patch’s changes, we figured we could make Xayah feel a little bit smoother to play as the game progresses. FEAST Attack lockout now scales down with attack speed. You’re not hearing things! ...well, technically you are, but…. Yeah! Audio updates! ALISTAR Alistar’s basic attack and ability audio has been updated for all skins without skin-specific audio effects! CHO’GATH Cho’Gath’s basic attack and ability audio has been updated for all skins without skin-specific audio effects! Now builds from Catalyst of Aeons instead of Spectre Cowl. Doran’s Ring stacking had created an unhealthy pattern in lane; waveclear from a distance, get all of your mana back, repeat. However, its removal leaves some tanks feeling like they don’t have items that support their laning patterns at all. Catalyst of Aeons is a solid paradigm for in-lane sustain, but tanks don’t feel great about the items it builds into, especially now that Righteous Glory no longer builds out of it. So that’s one side of things. On the other hand, Abyssal Mask had been underperforming, and we were looking for ways to make it a more palatable item. And that leads us to our changes. Abyssal Mask’s passive is a natural fit for tanks. Tanks need an item that builds out of Catalyst of the Aeons, and we just put the two ideas together to make the new Abyssal Mask. newUNIQUE PASSIVE - ETERNITY 15% of damage taken from champions is gained as mana. Spending mana restores 20% of the cost as health, up to 25 per spell cast. Adaptive Helm isn’t quite providing the raw oomph it need to be a competitive defensive item, so we’re buffing the tankiness it provides just a bit. The Coin line is underperforming to a pretty significant degree. Hence, buffs. ICON-VERGENCE Icon updated to match last patch’s gameplay update! Cinderhulk is lagging behind the other jungle items at the moment, so we made some changes to jungle upgrades and Bami Cinder to help smooth out clearspeed - especially early on - for tank junglers. Unlike fighters, tanks don’t clear very well when they rely on just their auto-attacks. 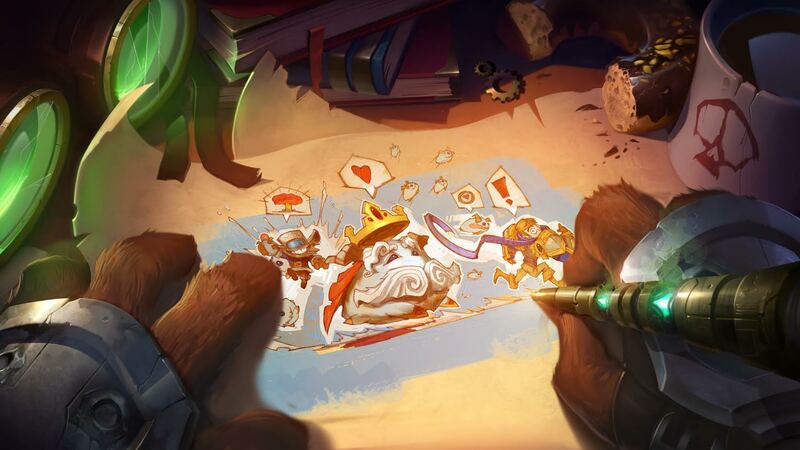 Moreover, their lower damage means many camps simply take longer for them to clear than damage-building junglers. We want to smooth out that difference a little bit, so we’re giving junglers more mana to work with. With more mana on all junglers, the mage enchantment doesn’t need to provide quite so much mana on its own. Cost decreased. Health decreased. Monster damage increased. Tanks don’t have a very smooth item progression in the jungle. If they have a good first gank and a solid clear, they sometimes back with enough gold to pick up Bami’s Cinder. But most of the time, they’re stuck sitting on a Ruby Crystal while other junglers get to keep picking up small components (aka Long Swords for days). Worse, health doesn’t do anything for clear speed, so while tanks are trying to farm Cinderhulk, everybody else around them is already farming more quickly - thanks to those aforementioned small components. On top of that, Bami’s Cinder’s monster damage isn’t very powerful, which only amplifies the problem. Total cost down. Health down. Bonus Health scaling up. Breakeven point is 1500 bonus health. Build path adjustment for Bami’s Cinder cost changes above. Herald should be immediately more rewarding to the individual who kills her. Legend of the Poro King returns from 6/30/17 12:00 PT - 7/04/17 04:00 PT and 7/07/17 12:00 PT - 7/11/17 04:00 PT. Pelt your enemies in a grand snowball fight on the Howling Abyss to summon the resplendent Poro King. Use Poro Toss to bowl your friendly poro across the map. If it hits a target, activate Poro Dash to dart toward your opponent. THE TECHNOLOGY IS HERE Different tips will be displayed to different people based on their level. We added more than 120 tips! Try to catch’em all. Vision score is now displayed on your trinket tooltip. We’re adding the functionality to buy skins in champion select again, starting in patch 7.13! 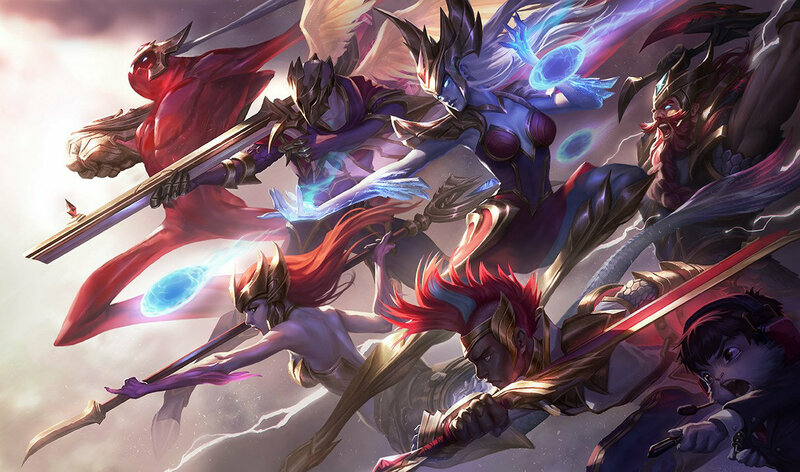 Ascend to Challenger with the new SKT T1 skins! ...Well, at least try to.